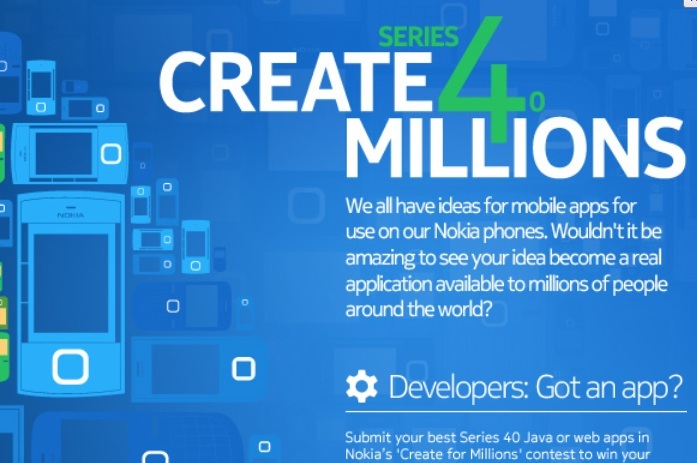 S40 counts for over a third of Nokia’s 6 million daily downloads. Over 2 million – just with S40. There are two parts to this, a little bit like what we saw last year with the N8 make my app thingy. Submit idea for S40 app that adds value and depth to the lives of people, especially for those in emerging markets. 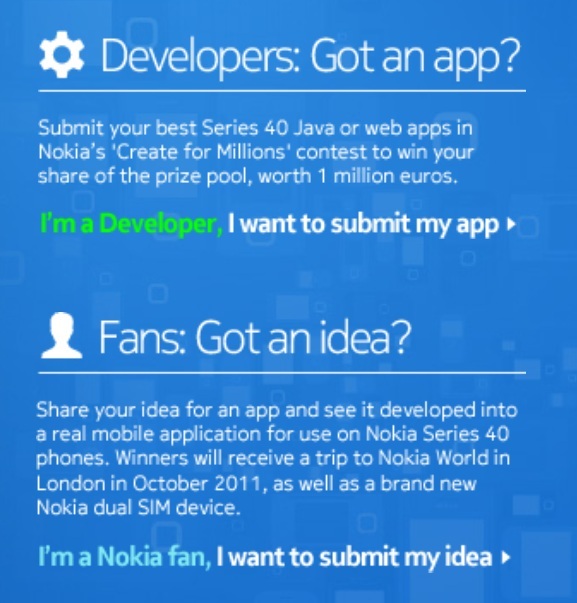 Nokia Developer asks you developers out there to submit an app. You could win prizes up to a total of €1,000,000. Again, the focus is creating an app with real value that will enrich people’s lives, particularly in emerging markets. For people up for a real challenge, special prizes will be awarded to apps that showcase the best use of Nokia’s Maps and location APIs; the best touch feature in an app; and the best overall app for a Series 40 mobile phone. Here’s a video. I think filmed in the 1980s. Prize here of a new Nokia dual sim device. Yaay…er..what?